Today I really got to thinking about one of my favorite television shows: Monk. I like it so much that I watch it everywhere I possibly can — on the internet, at friends houses, on dvd. It shows real dedication for someone who doesn’t have cable television. Here’s a brief synopsis for all of you who don’t know or watch the show…Monk was a cop who lost his wife in a car bomb. After that, he was so shaken up that he couldn’t recover mentally, so he was forced to give up his badge and then continued work with the police as a private investigator. Each episode is a case that Monk, with the help of his assistant (Sharona or Natalie), solves. He almost always cracks the mystery and is rarely wrong. The comical part of the show is that he has severe OCD, panic disorders, anxiety disorders, and whatever kind of phobias you could imagine. As a result, he says and does ridiculous things more often than not. He loves to clean, can’t go to the bathroom in public places, and is afraid of elevators, dirt, spiders, celestial space, fog, being touched, rabies, sitting down….shall I continue? Click here to read a list of all Monk’s phobias. It is these personal tics that make the show interesting. Watching Monk try to solve cases, but still fear everything is quite amusing. But alas, all good things must come to an end. After a whopping eight seasons, the show is finally coming to an end. I haven’t seen the finale yet, but my guess is that Monk will finally find out what happened to his wife, Trudy. I’m thinking he will find out who the murderer is, and then find some way to get past it, ending on a happier note. I can’t imagine ending the show on a sad one. In an article in the Philadelphia Inquirer, Tony Shaloub, who plays Monk, is satisfied with the show’s success and ending. He’s won a Golden Globe from the show and has gained much fame from his character. In some ways, Shaloub thinks that people who watch the show become a bit like Monk. It’s probably true…we all have a little OCD in each of us. 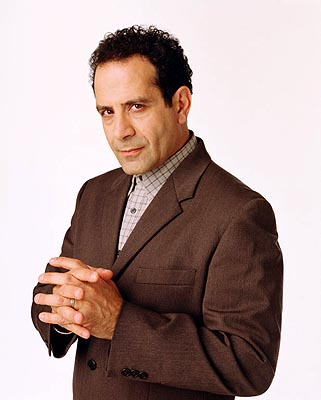 Thank you for all those episodes, Mr. Monk.